Concerns about hospital-acquired infections have been growing within the healthcare industry. Among these infections, Legionnaire’s disease is particularly endemic to building water systems. The U.S. Centers for Disease Control and Prevention (CDC) asserts that there are an average of 8,000-18,000 hospitalized cases of Legionellosis in the United States yearly, and the mortality rate among these cases is around 10 percent. In June 2017, the Centers for Medicare & Medicaid Services (CMS) prominently highlighted this risk by issuing a memo requiring hospitals that provide services reimbursed by Medicare and Medicaid to develop a plan of action to mitigate Legionella in building water systems. The memo references ASHRAE Standard 188, Legionellosis: Risk Management for Building Water Systems, as a resource in developing a plan of action. Also in 2017, the American Society of Healthcare Engineers published a monograph summarizing the way ASHRAE 188 applies to healthcare facilities. 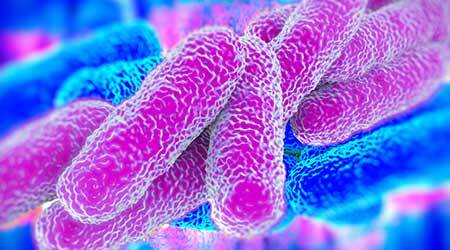 The standard sets minimum Legionellosis risk-management requirements for building water systems. It includes Normative Annex A: Health Care Facilities that is geared towards hospitals trying to meet the intent of the CMS conditions of participation. The CDC also has published a free toolkit, Developing a Water Management Plan to Reduce Legionella Growth and Spread in Buildings. As a result of this increased focus on waterborne pathogens, managers nationwide are forming water management teams with the goal of protecting building occupants and visitors with steps designed to prevent and detect the illness.